Valves are designed to control or interrupt flow. This is done in valves by lowering, raising or rotating a disc in relation to a seating surface or by controlling the movement of a ball. : Scupper pipes from accommodation spaces are fitted with non-return valves. Those scuppers from spaces below the bulkhead deck, are required to be fitted with non-return valves which can be positively closed from above the bulkhead deck or, if this is not practical, with two non-return valves. 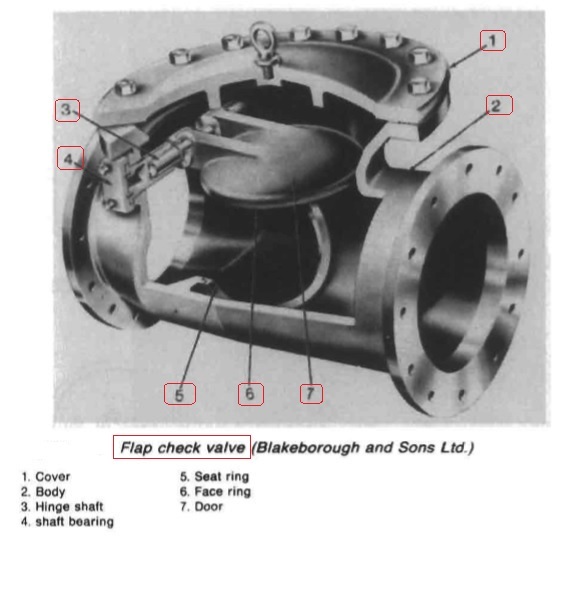 A common type of non-return valve (Figure 1) has a hinged flap which is pushed open by outward flow and closed by its own weight. The flap prevents inward passage of sea water. Dual purpose tanks such as those for either oil or water ballast require exclusive connections to separate systems. 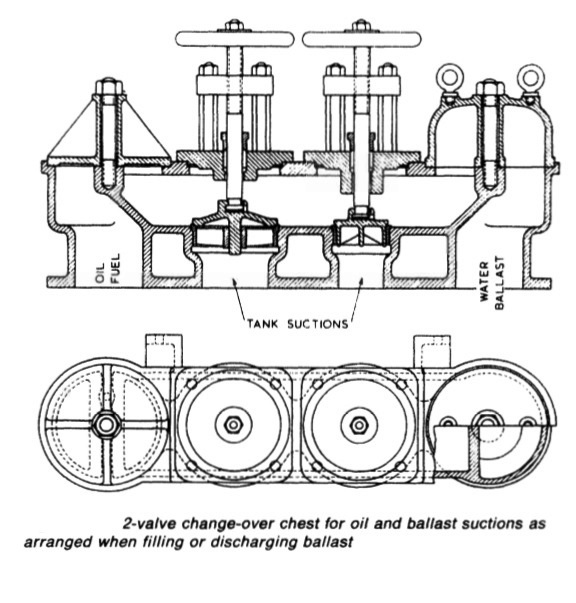 Special valve chests (Figure 2) with interchangeable blanks and connecting passages are installed for this duty. 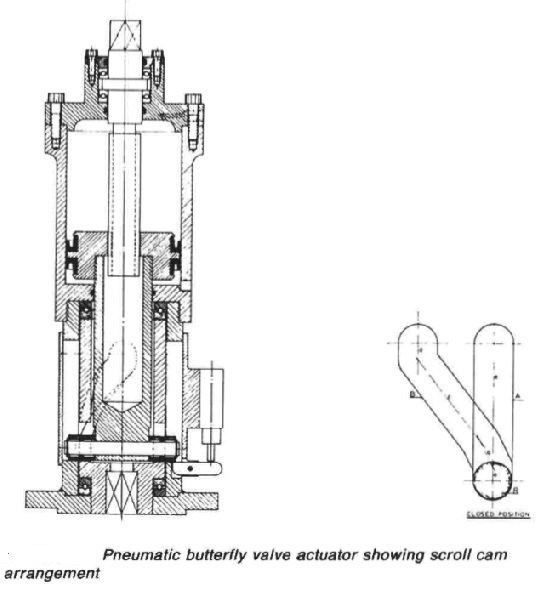 The example shown has two suction valves flanked by a blank on one side and a dome on the other. In the position shown, the two suction valves have access via the dome, to the water ballast main but not to the oil fuel main. By simply changing over the blank and the dome the situation is reversed. A variety of valve actuators to control the opening and closing of globe, gate and butterfly valves are available. In some types an electric motor, fitted with limit switches is used to turn a threaded stem through a yoke, purely substituting the action of a handwheel.